While in embroidery mode, choose from three different projection backgrounds (black, grey or white) based on fabric choices to see your design clearly. The needle drop laser is displayed in a “T” pattern for an even more precise placement. 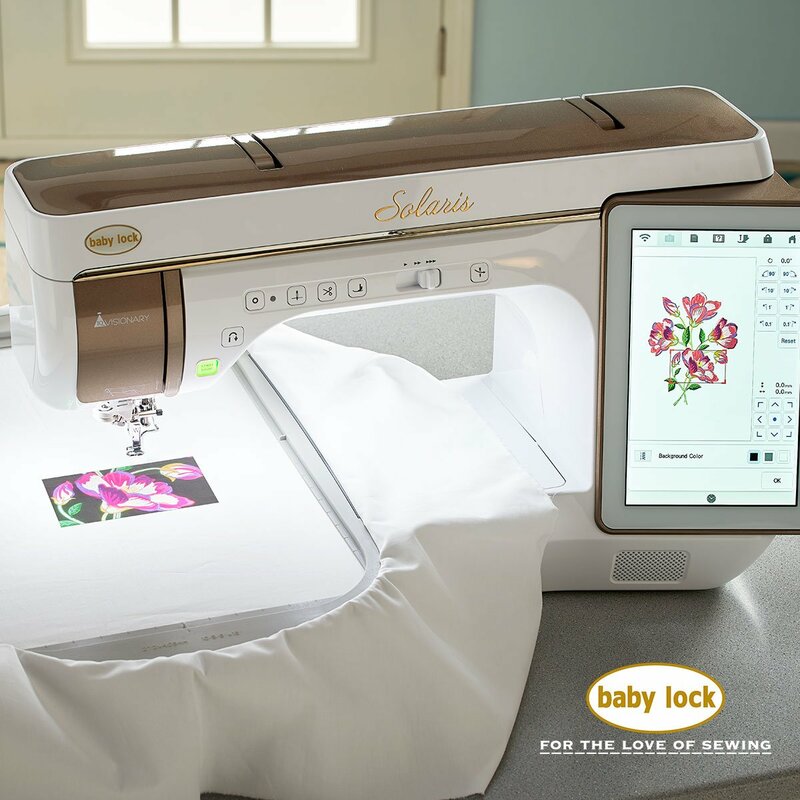 Create beautiful quilt borders and sashing with unmatched precision. Simply put in your dimensions and Solaris does the necessary measurements for you. It matches the corners and then calculates the middle for a complete frame.